We spent November 1st at the mermaid lagoon since Rowan was out of school for parent/teacher conferences. It was windy but we enjoyed having the breeze when the sun got to be too much. 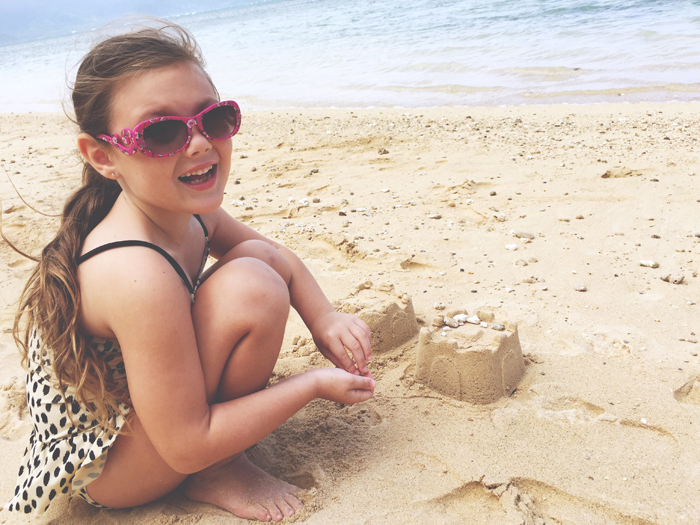 Rowan built little sandcastles and decorated them with seashells, dumped water on her head, saw a flying fish and overall enjoyed her day running wild on the sand. Hawaii is crazy expensive and gives you island fever from time to time, but at the end of the day it’s an amazing place to raise a family and I feel very lucky to have been here myself for the last 20 years. It’s always fun to dream about living somewhere else because I’ve been here so long but I hope we’re at least here long enough that Rowan and this next baby are old enough to remember their experiences here.